RYCO Plumbing is Arizona's most trusted choice for residential and commercial plumbing needs. RYCO Plumbing has been servicing Arizona's residential plumbing and commercial plumbing needs since 1999. The plumbing professionals at RYCO provide unmatched customer service and plumbing intelligence. Not only do we understand each and every plumbing issue you’re struggling with, but we know exactly how to fix it. And, with our vans being fully stocked with state-of-the-art equipment we can fix any issue in a timely manner. All RYCO Plumbing professionals undergo a thorough background check, and must be cleared before they are hired. We want to ensure your comfort and trust when our professionals are working in your home. You come first. That's why RYCO offers 24-hour emergency plumbing services. 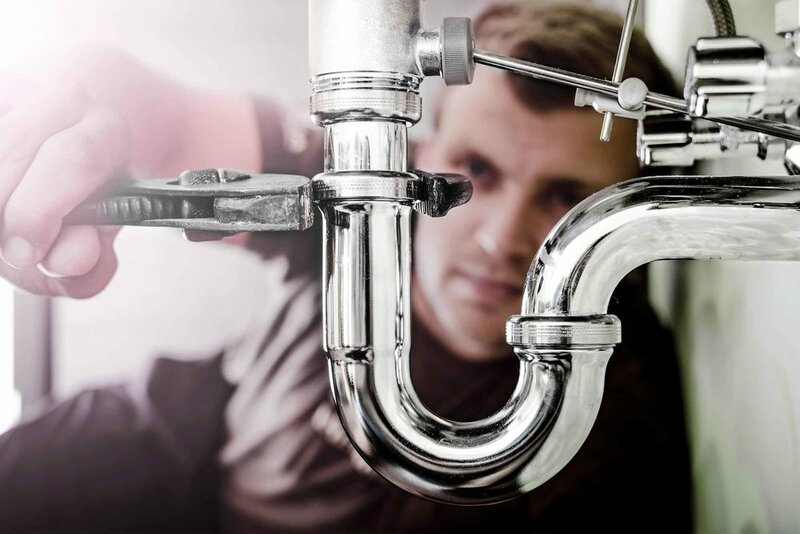 We have the most up-to-date equipment, professional quality parts and plumbing fixtures and are trained in handling a wide range of plumbing installation and repair needs. Our plumbers are professionals and RYCO always honors you and your family with polite, friendly service. You will receive industry-leading guarantees on all work performed, and RYCO Plumbing will be at your home when we promise to be. Why? Because you deserve it. Because plumbing issues are a nuisance that can’t be put on hold. Check out our YouTube Channel for helpful How To's as well as How The Pro's Do It videos. Whether your A/C is not working properly, completely broken, or just too expensive to run during these Arizona summers, we can help. We are committed to servicing your needs and not selling you parts or services that you don’t need. Our experienced technicians will help you figure out if you need to replace, repair, maintain, upgrade, or tune-up your a/c system so it will run more efficiently. We have all the experience, affordability, and good old-fashioned honesty that you are looking for in a contractor. We always send out a real technician, not a salesman, for your Mesa AZ AC Repair or anywhere in Arizona or the East Valley. We also have a location in Queen Creek to do any Queen Creek AC Repair and serve any of the surrounding areas. When brothers, Larry and Doug Ferrin, started Ferrin Brothers Air Conditioning, Inc. in 1977, they decided from the beginning that more importantly than making money was being ethical and honest in every way. Larry passed his legacy and these beliefs down to his son Rob when he retired, and Rob took over in 1996. As a Mesa Arizona family-owned and operated business, our values run deep. Please call us for an appointment or for a free consultation if you have any questions regarding your a/c, heating, or ventilation system. When you wake up to a flood or that annoying drip has been keeping you awake at night, it's time to call FERRIN RYCO. Arizona's Plumbing Experts has the tools, the team and the experience to get the job done right. FERRIN RYCO is one of the most reputable and trusted commercial plumbing and air companies in Arizona. For your commercial plumbing project, FERRIN RYCO has the skill, manpower and equipment to handle it. At FERRIN RYCO we recognize the critical balance in the relationship between property managers and homeowners or tenants. As property management specialists, we take away the hassle and headaches.